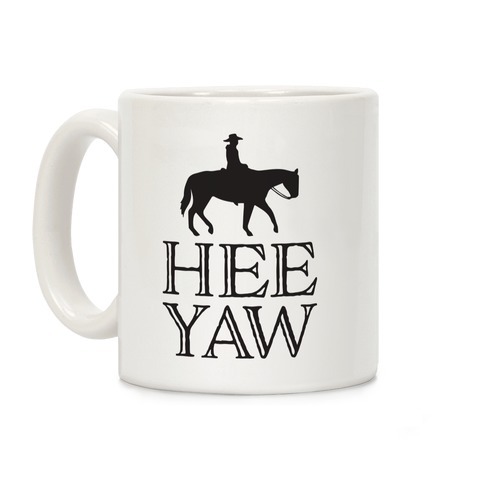 Browse our collection of 4 Haw Yee Coffee Mugs and more. Designed and printed in the USA. 100% Satisfaction Guaranteed. 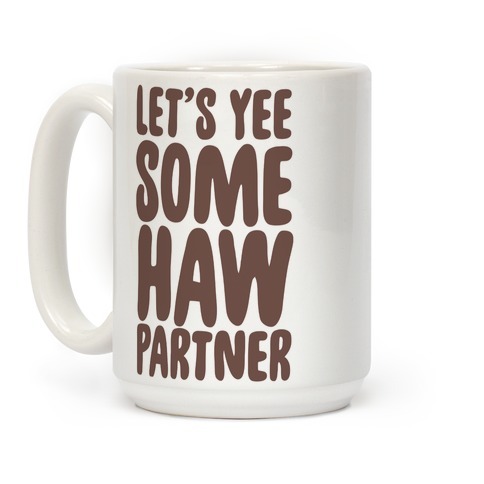 About this Design The only thing wilder than a 'yeehaw' is a Heeyaw! Show off your true wild cowboy fashion with this, "Heeyaw" cowboy design! Perfect for feeling wild western, cowboy , and cowboy humor! The only thing wilder than a 'yeehaw' is a Heeyaw! Show off your true wild cowboy fashion with this, "Heeyaw" cowboy design! Perfect for feeling wild western, cowboy , and cowboy humor! About this Design Couldn't they ask? Even just once? Cowboys have feelings too! 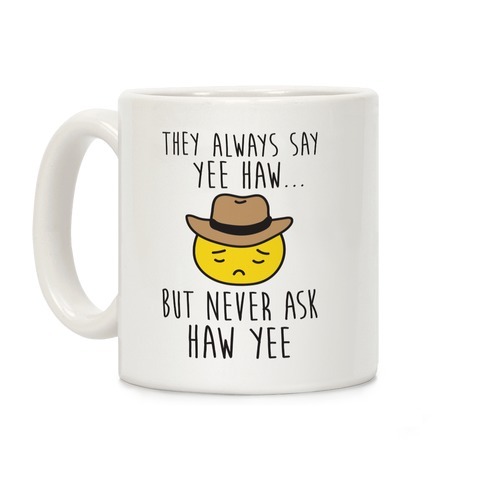 Show off your inner sad cowboy with this, "They Always Say Yee Haw.. But Never Ask Haw Yee" sad cowboy emoji ! Couldn't they ask? Even just once? Cowboys have feelings too! 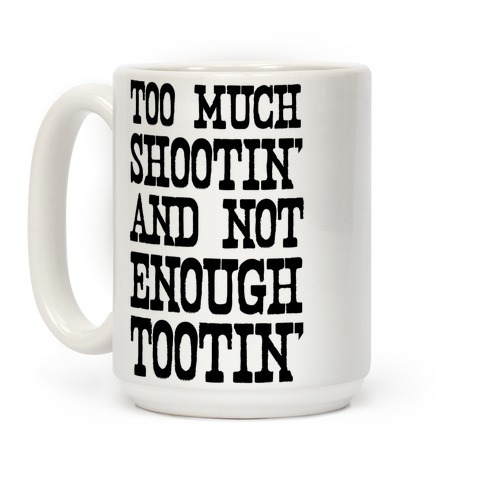 Show off your inner sad cowboy with this, "They Always Say Yee Haw.. But Never Ask Haw Yee" sad cowboy emoji !